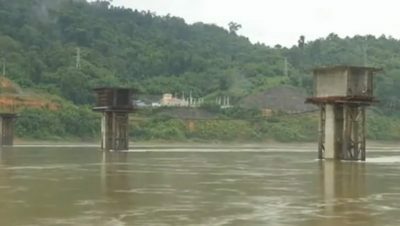 The Roman Catholic Archbishop of Yangon, Charles Maung Bo, is demanding that the Myitsone Dam is taken off the table in Myanmar. This relates to stopping China from impacting on the River Irrawaddy by building an unwanted dam, according to Archbishop Bo. In turn, he wants to protect the richness of the region and people who rely on this impressive river. Equally important, the aggressive approach of certain Western and Islamic nations toward Myanmar is merely playing into the hands of China. Yet, given the geopolitical significance of Myanmar and the hope of furthering democracy, then hostile nations must refrain. Hence, a pragmatic approach to Myanmar is needed to entrench the democratic path. At the same time, if leading Western and Islamic nations refrained from brinkmanship and spreading “a false narrative” against Myanmar, then political elites in this nation would open up to different ideas. In truth, it is in the interest of leading Western democratic nations to open up to Myanmar and provide a helping hand. After all, from China to Vietnam, and from Thailand to Laos you have a static political system that is aimed solely at the power concentration of the ruling party. However, Myanmar desires to open up to the international community and to start a new way based on democracy. Yet, based on the utter bias of certain Western and Islamic nations that carry great clout, they are playing into the hands of China. Of course, Myanmar wants favorable relations internationally and despite two negative centers of power, other regional nations – and countries much further afield from Japan to South Korea – all have more than cordial relations with Myanmar. Hence, it is imperative that leading Western nations understand the mass complexity of the path to democracy in Myanmar and the ethnic dimensions of this nation. Similarly, the Bengali Muslim migration issue that threatens the indigenous of the Chittagong Hill Tracts (Bangladesh), the people of Assam (India), the mainly Buddhist indigenous of Rakhine (Myanmar), and other areas, must be addressed reasonably and not in isolation to events in Myanmar. However, an equally important dimension to Myitsone Dam is why leading Western nations are playing into the hands of China. Instead, leading democratic powers should be opening up to Myanmar and listening to the political elites of this nation. This applies to many ethnic issues that blight the body politic of Myanmar and the strengthening of democracy under the State Counsellor of Myanmar, Aung San Suu Kyi. Equally important, leading nations must acknowledge the mass migration of Bengali Muslims – based on the colonial legacy of the British – that threatens to overwhelm the mainly indigenous Buddhists of Rakhine and small ethnic groups including the Mro. Thereby, in doing so, Myanmar can open up to democractic nations and then can earnestly focus on important issues like the Myitsone Dam based on strength. eric siverson on North Korea pays homage to China before meetings with America and South Korea: Denuclearization?